Come on Riot, give your champions some love. Exactly 1,000 days ago, League of Legends champion Taric received his last skin. 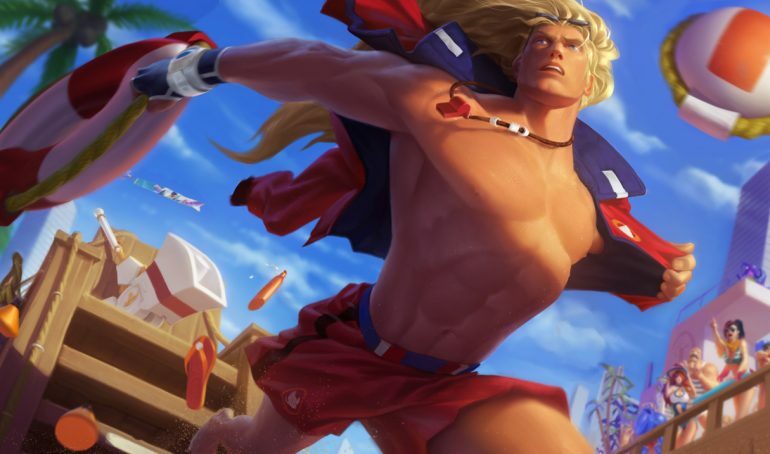 Pool Party Taric was released July 13, 2016, alongside a host of different chroma options. That’s a surprisingly huge gap for a champion that only just recently saw pro play in Cloud9’s loss to TSM in the LCS semifinals. Taric isn’t the only character who hasn’t received a new skin for 1,000 days or more, however. There are 15 other champions that haven’t received a new skin in within that timeframe or longer, according to a list compiled by FalconGaels over on Reddit. The list of champions wthout a skin in that time frame also includes Volibear, Shyvana, Kindred, Nocturne, Sion, Vel’Koz, Kassadin, Rek‘Sai, Shaco, Mordekaiser, Zilean, Xerath, Skarner, and Udyr. Some other interesting facts about Taric from the Reddit user’s graph is that the champion has an average of one new skin every 880 days since he was released in 2009. That is the biggest average out of all the champions currently in-game, with Udyr in second place at an average of 854 days. With Riot persistent on giving older champions new skins, however, such as Ivern’s recently released Dunkmaster skin, we can only hope that Taric gets the love that he needs in a later patch.